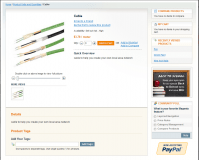 Introduce your own measurement units (e.g., one meter of cable) and sell products by pre-defined batches. Let customers conveniently choose quantity using a dropdown, a slider or plus/minus buttons. 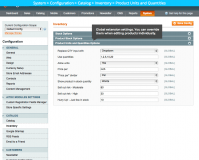 Customize the way your customers deal with product quantities and units. Introduce measuring units to match the type of products you sell, define possible batches your products can be sold in, and make it easy for your customers to order more with convenient dropdowns, buttons or sliders. When entering new markets, store localization one of important prerequisites impacting the further ecommerce success. Apart from changing the language and adjusting product assortment to the new segment, it’s vital to take care of product measurements and provide buyers with the ability to purchase the goods using the metric system they are used to. Our extension enables that easily, as it helps to set up custom measurements for products of any kind. A simple navigation plays a vital role in ecommerce business’ prosperity, as it either makes it or breaks it when it comes to online shopping experience. You can make sure that customers enjoy shopping at your store by, among other things, making it easy for them to choose products of the required configuration. This can be effortlessly achieved with the help of intuitive UI elements like a slider, arrows or a drop-down menu that the module provides. Using the extension, retailers can easily enable purchasing of products in bulk at their stores. Be it a bulk pack, a dispatch unit or pallet, Magento store owners will be able to provide the most valuable in-bulk product offers to attract wholesale buyers. Indicate measuring units for a product and sell it per this unit, e.g., $10/kg or $12/box. Displays approximate number of units left in stock (optional). Indicate certain bundles as “sell-out risk”, “only a few left”, etc. after a particular threshold is reached (optional). Define quantity values customers can choose from. Substitute it with a dropdown select. Add plus/minus buttons to the Quantity field. Add up/down buttons to the Quantity field. Place a slider in the Quantity field. Apply settings to all the products or to individual products only. Works with simple, configurable, grouped or virtual products. Works on product pages, products list pages and wishlist pages. 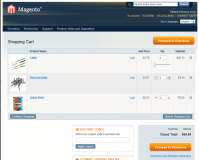 Compatible with Shopping Cart Editor Magento Extension. 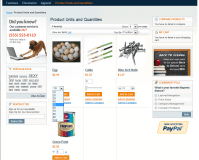 Magento Product Builder plugin – Allow buyers to personalize your products with pictures, clip-arts and text objects. Upload a gallery of images and fonts to choose from, select any number of customizable areas, and change the prices of custom-designed goods. Magento Product Options extension – Create templates with custom product options and reuse them whenever needed. Set specific dependencies between options and values and assign multiple products to any existing template at one go. Configurable Product Magento extension – Automate the process of creating simple associated products for configurable goods. Generate new simple associated products leveraging multiple product attributes and manage them in a separate table. Product Options for Grouped Products Magento extension– Provide customers with the opportunity to select the necessary modifications of products in groups. 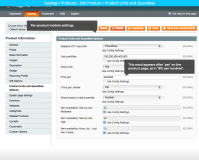 Create and edit new product groups and assign custom attributes for any item included into a group. Product Color Swatches Magento extension – Make your product page eye-catching by using visualizations instead of a plain text. Upload icons, images and colors and change text descriptions to the corresponding objects automatically. * Fixed the error in browser console when using qty input 'plus minus' or 'arrows'. * Fixed the issue with incorrect qty added to cart. + Compatibility with Aitoc Shopping Cart Editor is added. Great function of this extension and swift reply from the developer. If you need to show custom units on your store this is it, you don't need search anymore. I have installed it in minutes with no hassle. The team was very responsive to my request adapting their module to my custom theme. Strongly recommended! The module functionality is superb. We had a b2b e-commerce site selling oil barrels, but the price was supposed to be handled on per litre basis. This extension was exactly what we were looking for. Amazing support too. Needed to customize the extension for our website. All done in a jiffy !! It is a great module.i have used in my site. it is also very efficient, quick and very helpful. Really i love that. At first there were some bugs when installing the module in our customised magento install. The support department was very responsive, answered all my questions, and got everything running smoothly. All in all; a very positive experience with AITOC! Support also helped me out big style, quick, efficient and very helpful. We have modified Magento install and the support was first class. I would also consider more add ons as we develop our e commerce solution. Well Done AITOC ! Great Module ! Kennytmcp, I don't agree! They helped me super! I've installed Product U&Q and had some issues with a template we use. I made a call for support and they solved most of it the next day. One detail they had to inspect a little further because of our template. But surely a day later they send me an email that they had solved that problem for me also. And everything works great now! I'll surely consider buying more of their add-ons when we further develop our webshop. Incorporate vBulletin forum software seamlessly into your Magento store.